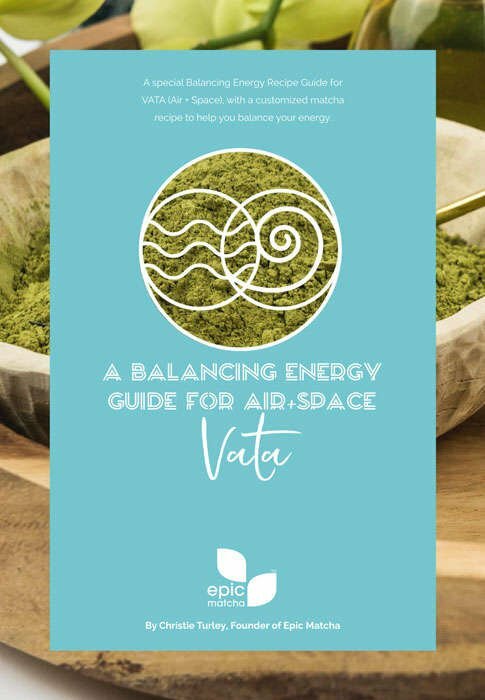 You are a Vata energy type, which means your elements are Air and Space. I sent you a Free Balancing Energy Guide that will be coming to your inbox in about 30 minutes—and in the meantime, I want to give you more information about YOUR energy type and how you can balance your energies. The Air + Space Energy Type is ever-changing and expansive. You’re a go, go, go kinda person and you LOVE new experiences. Exploring a new place or trying a new class is like heaven for you. And your mind is just as energetic as your body. You’re probably very creative and have lots of ideas. Some signs your energy is out of balance are if you’re losing sleep, feeling anxious, worrying a lot, can’t seem to rest or you’re having tummy troubles. These are all signs that you need to balance your energy. 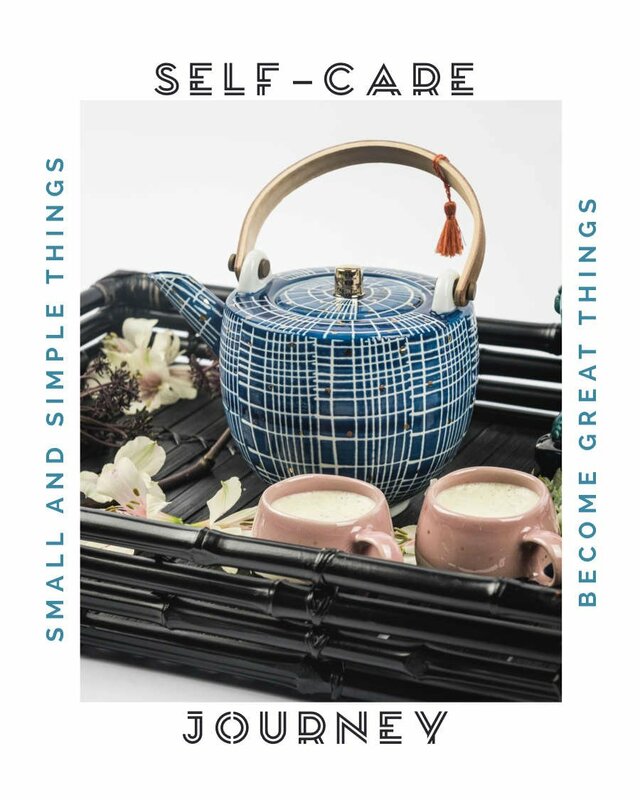 Because when we're busy achieving and striving, our self-care practices usually take a backseat—which is ironic, because that’s actually when we need self-care the most! That's why I created a unique morning ritual-- a self-care routine based upon what the ancients from Japan, China and India knew about balancing and optimizing energy, creating inner peace, and connecting to your inner wisdom. I've put this all together in a step-by-step process for you to follow in the Epic Self-Care Challenge. 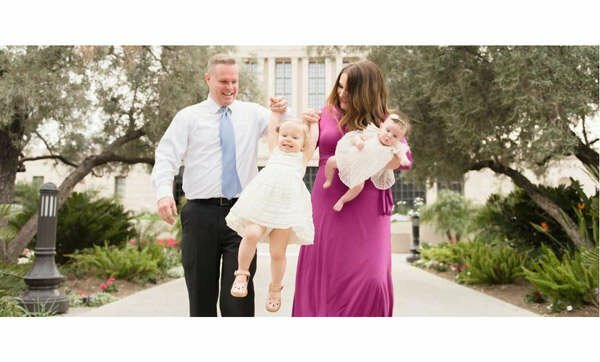 You see, after a miraculous end to my 7-year battle with infertility, and my career experience working with 10,000s of high achieving women and men, I packaged up everything I learned along my own self-care journey and working with highly successful people. I learned that it's not the broad sweeping changes we make to our lives that creates success; it's the small and simple things we do. And when you start the day with this morning ritual, you will find that you're accomplishing more in less time. It's like time expands to fit your needs -- you invest 15 minutes in the morning and you get 2+ hours back during the day because have more clarity, and you're more productive, creative and focused. And there's one thing I've learned, self-care is not selfish because you cannot serve from an empty cup. A lot of people are joining us in the Epic Self-Care Challenge. They are joining this amazing challenge because not only is it helping them accomplish more in less time, it includes our highest grade of ceremonial matcha, a journal, the self-care formula, guided visualizations and meditations, support and accountability - all for an unbelievable price. This is everything I’ve learned in my own self-care journey, put into a step-by-step process for you to follow. With all the stressors of life, it’s so easy to get caught up in the rush and the hustle. All this emotion and stress only keeps getting worse when we let taking care of ourselves fall to the wayside. So often, we focus on taking care of everyone else and put ourselves last. Because of this, we can end up feeling totally frantic, off-balance and even resentful. That's why having the right morning routine is so important. And it doesn't take a lot of time to do! I have found that when I take 10-15 minutes to do my morning ritual, TIME EXPANDS during the day. It means for me, when I take 10 minutes for my morning ritual, it ends up paying dividends during the day - gaining at least 2 hours or more in productivity! Things just go smoother. I feel better. I think more clearly. I'm SO much more productive, efficient and creative - not to mention more at peace, satisfied and energetic. And the day is definitely full of synchronicities, serendipitous moments, and chance meetings. It's pure magic! Fun fact: Albert Einstein had a theory about this and so this time expanding phenomenon and it has been nicknamed "Einstein time." 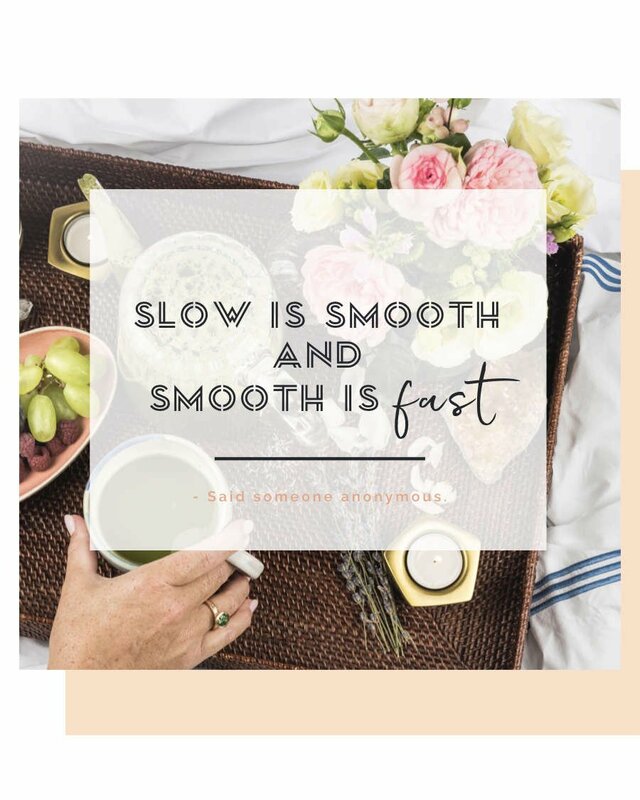 "Slow is Smooth and Smooth is Fast"
For years, I didn't want to slow down. It was always "go, go, go!" with my career, relationships, responsibilities, etc. Then, unfortunately, all the rushing and the hustle ended up taking its toll on my body and my happiness. "Slow is smooth and smooth is fast." Meaning if I slow down, things go smoother... and when things go smoother, they go faster! Like I was saying, all this rush and hustle began to take its toll. I was always striving and achieving, endlessly chasing and distracted by external things that didn’t make me happy. And I didn’t feel fulfilled. For years, I couldn’t put my finger on it. My big insight moment was realizing that for me, all this achieving was my attempt to fill a void. And it wasn’t working anymore. I decided to start the process. One SIMPLE change made a HUGE difference. And then, I started hearing this faint intuition coming through...and that's what led me to the right doctor, the right circumstances and my dreams (of having children) coming true. I let my intuition lead the way. ...and REALLY learned how to distinguish my intuition from my self-talk…. I gave birth to my two most joyful creations. My children and Epic Matcha. As I continue to listen to that voice during my morning rituals, new ideas come to me that when acted upon, have huge ripple effects. And the Epic Self-Care Challenge is no exception (it was quiet inspiration that hit me during my ritual!). This is why I'm so passionate about this Epic Self-Care Challenge. It's like putting on your oxygen mask first. It’s so counter-intuitive, but I can tell the difference energetically and emotionally when I take time for myself before turning to take care of others. It’s not the grand sweeping changes that paints your life story. 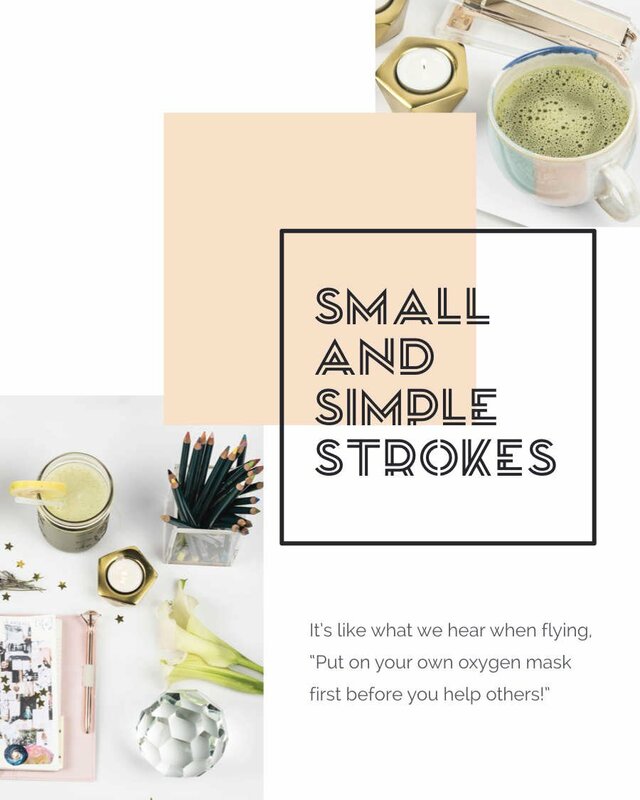 It’s the constant, continual consistency of small and simple strokes. It's like this: your epic life starts with your epic day. And your epic day begins with an epic start. Self-care and matcha have been an anchor for me—helping me to “fill my cup” so I can feel grounded, balanced and more at peace. As I invest in my own self-care, I really create the space to care for others around me! So for once, it is all about YOU! There’s one thing I’ve learned, self-care is NOT selfish. I used to think so, but I’m convinced that in order for you love others, you must love yourself first, so you have more to give. When you take time to care for yourself, you are able to make your highest contribution to your family, friends and the world around you. When we feel drained, we don’t have as much to offer others. Women especially find put others first, often before ourselves. And then we're "running on empty" - or on "fumes." So when your "cup is full," you will naturally have more energy. And when your cup is full, it will be natural to share of that overflow to help fill others’ cups. In other words, you'll have more to give the people and projects in your life - and everything else that is important to you. Imagine how this simple habit can have a huge ripple effect. And it’s a ripple effect that has tremendous impact—this is really how something simple can become a great shift in the world. For me, this means I'm more likely to smile, give a compliment, have more creative ideas, be more productive during the day... and because I'm living my day that way - that really ripples out to the people around me - and maybe I inspire them to do the same or to simply smile more. It really adds up fast and those small efforts really do count! Great things always start with SMALL and SIMPLE things. I truly believe by doing the small and simple things, we can make great things happen. Many of the world's greatest inventions - like the light bulb and even the sewing machine, came about because these men had a practice for receiving inspiration. One simple habit led them to the simple idea that transformed so much. Looking back, I can see that by turning to self-care and my morning ritual, I was led to a greater purpose. I share my journey with you to inspire you on yours. When I’ve invested in my own self-care (and self-care is a SUPER small thing), I’ve started to notice the ripple effect that has. I know my morning ritual has helped me grow in ALL areas of my life - health, wealth, happiness, relationships-- everything! And it’s helped me create the life BEYOND my wildest dreams! "You can't go back and change the beginning. But you can start where you are and change the ending." - C.S. Lewis. Your epic life starts with your epic day. And your epic day begin with an epic morning. And having an epic day means you are able to not only handle everything life throws your way— but you do it with a sense of grace, ease, and intention in each and every day. One thing I know for sure is that this self-care practice will trickle into all the other areas of your life—and you’ll start to have an even more positive effect on everyone around you. This day is the beginning of the rest of your epic life—a life that fills you up, that nourishes you, that makes you feel fulfilled at the deepest level all begins with how you treat yourself. So let this be your jumping-point to start putting yourself first, to start filling yourself up before you give to others, and to start truly loving who you are. 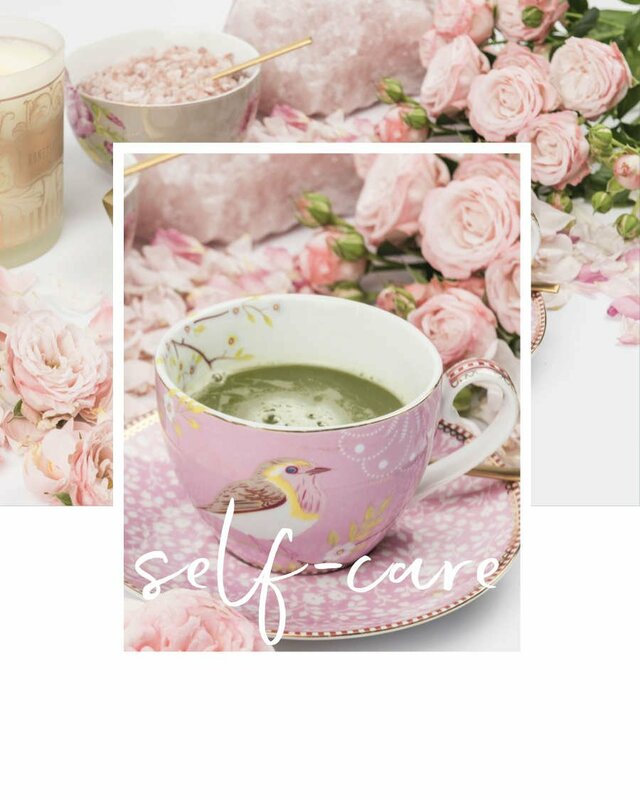 The Epic Self-Care Challenge is the best of the best of what I’ve learned in my self-care journey, put into a step-by-step process for you to follow. Matcha is an ancient secret that was discovered over 1,000 years ago in China and Japan—and science is now proving it to have some amazing properties. Matcha is a superfood—a nutritional powerhouse packed with amino acids, chlorophyll, antioxidants (1387 ORAC value for your nutrition nerds), and has a pH value of 9, among other healthy facts. 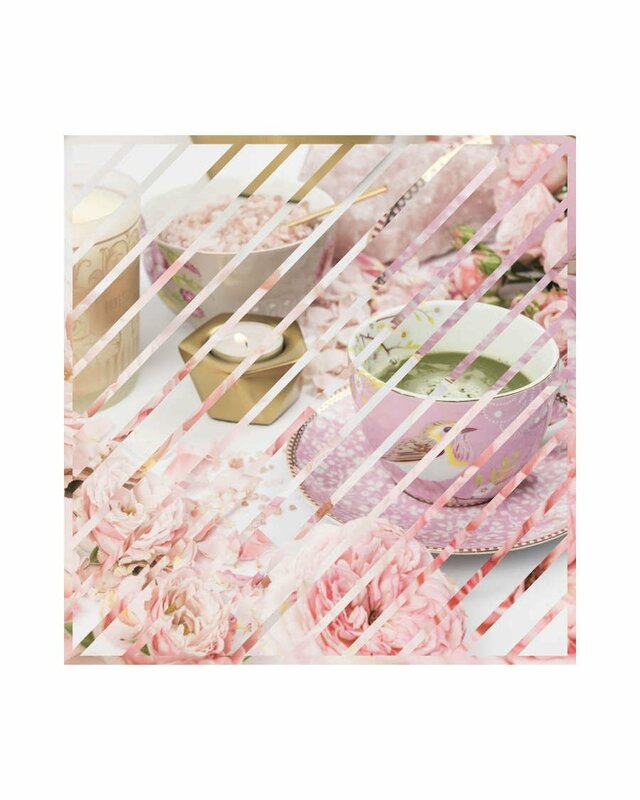 And drinking matcha is associated with enhanced mental function (concentration, focus, creativity), immune support, higher metabolism and boosts in your mood, to name a few. If you know how healthy green tea is for you, you'll like this... just one cup of matcha is equivalent to the nutritional value of ten cups of green tea! I included this magical elixir for you to include in your self-care practice because it literally lights up your brain. By increasing alpha waves in your brain, matcha gives you creativity, focus and that lovely peaceful feeling that is attributed to the L-theanine which is found naturally in matcha. This is our highest grade of Epic Matcha - called Ceremonial grade - and is carefully and responsibly-sourced. And it's ORGANIC! The suggested retail price is $48, and it's included and delivered to you in the mail before your Self-Care Challenge begins. I have fallen in love with matcha and I know you will too! There are so many fun ways to make it, too. And I'll make sure you have all the details on that. 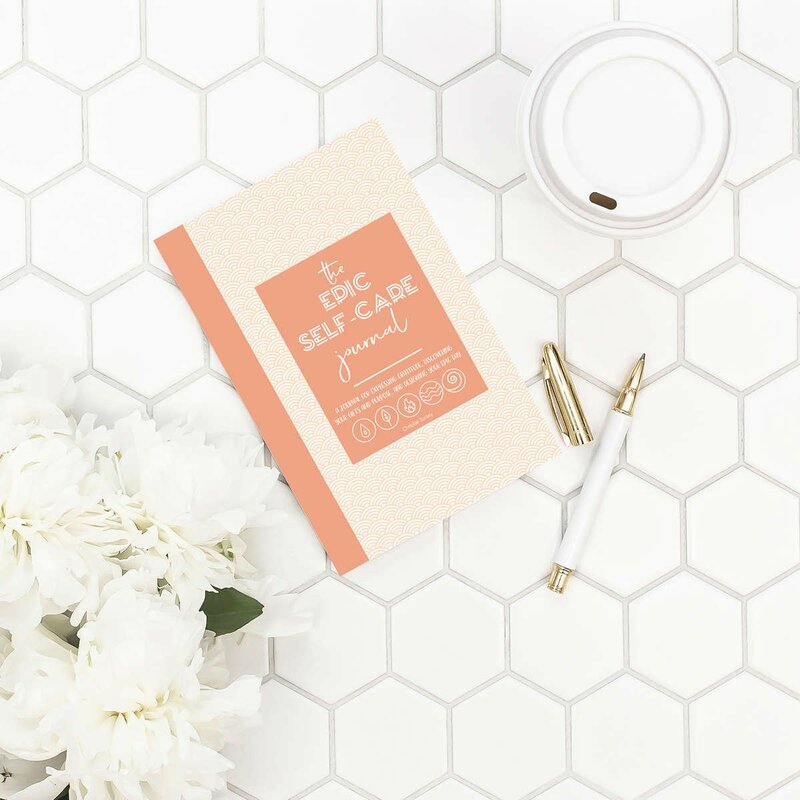 The Epic Self-Care Journal is a 60-page workbook for expressing gratitude, discovering your gifts and purpose, and designing your epic day. 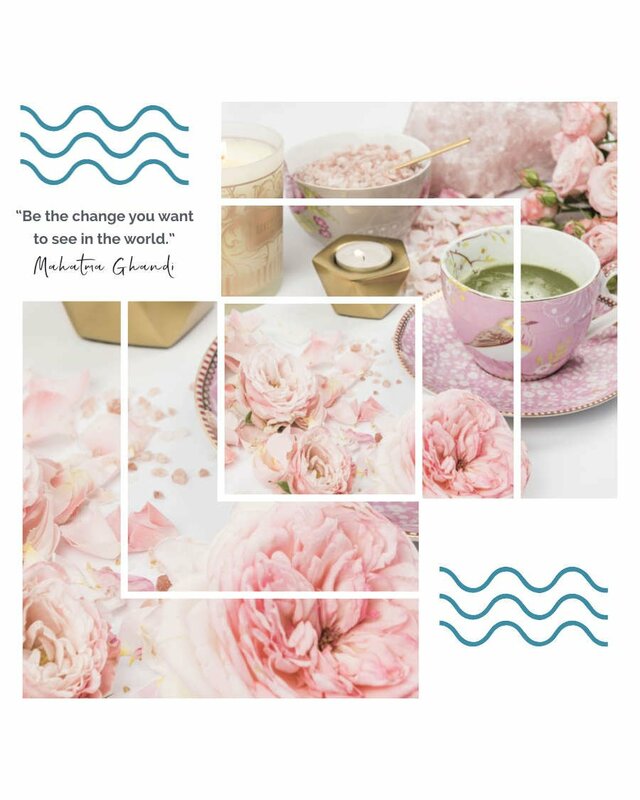 I’ve designed it to guide you through the Epic Self-Care Challenge and to help shift your mindset, cultivate inner peace and gain some a-ha moments. This will be delivered to you in the mail before your challenge begins. These are fastest ways I’ve found to get out of a funk. Give each one a try and see what makes you feel the best. Guided Visualizations for grounding, self-love, intuition, creativity, confidence and raising your vibration, as well as how to meditate for beginners. 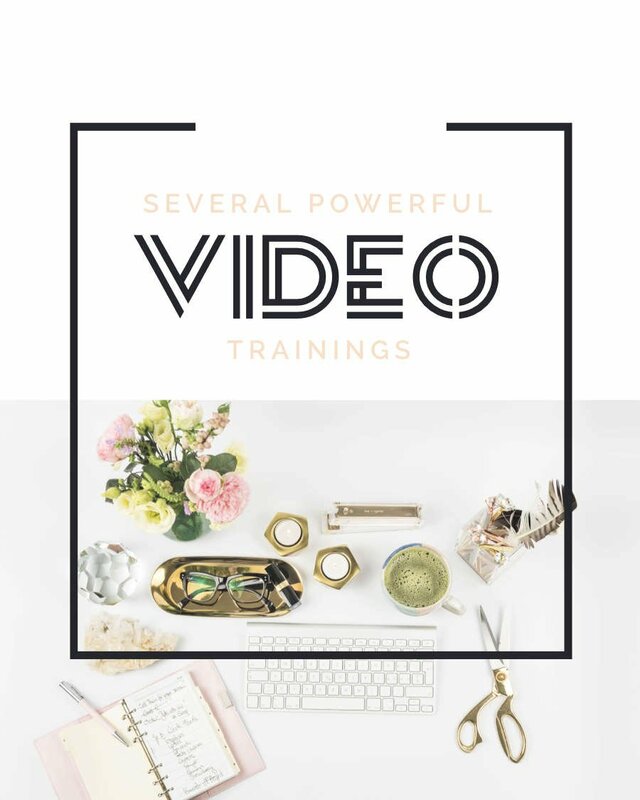 You'll get several Video Trainings from me, walking you through how to “Fill Up Your Cup,” how to create your own morning ritual, and practical ideas for how to do it consistently, even when you’re juggling family and career, as well as how to instantly reduce stress in your mind and body and stay balanced and grounded - as there are always things that life throws at us throughout our day. This is my favorite music for a zen, relaxed state of mind. There are even Alpha Wave songs to induce productivity and creativity! This breathing technique is my SUPER shortcut to reducing stress and thinking more creatively. And it takes less than a minute! 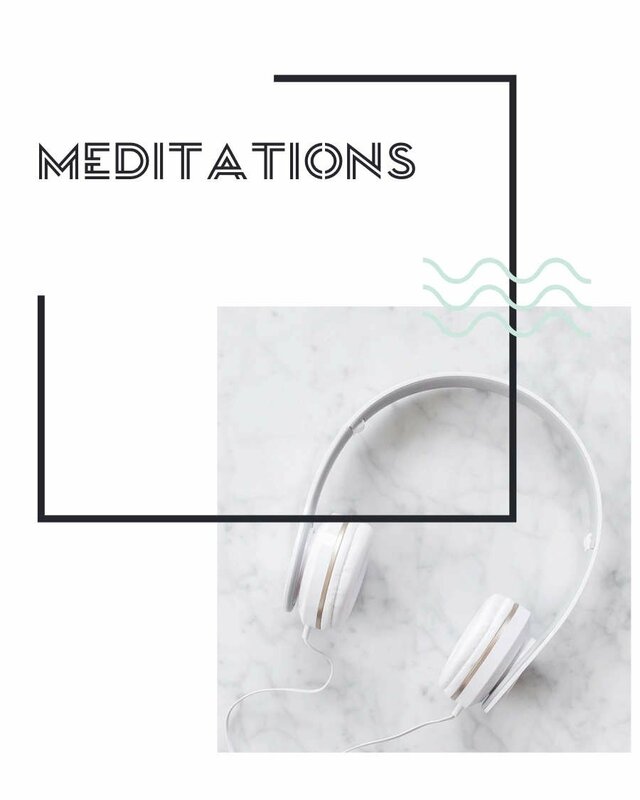 Affirmations for meditation, creativity and abundance. I’ll be sending these to you DAILY to get you started! 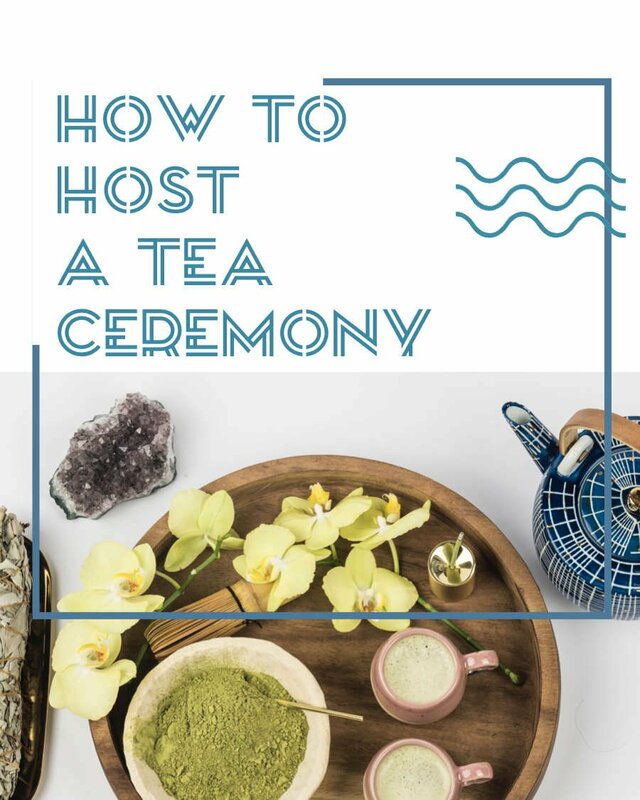 How to host your own modern tea ceremony (this is my personal favorite!). This is bound to become your new favorite tradition with your friends. 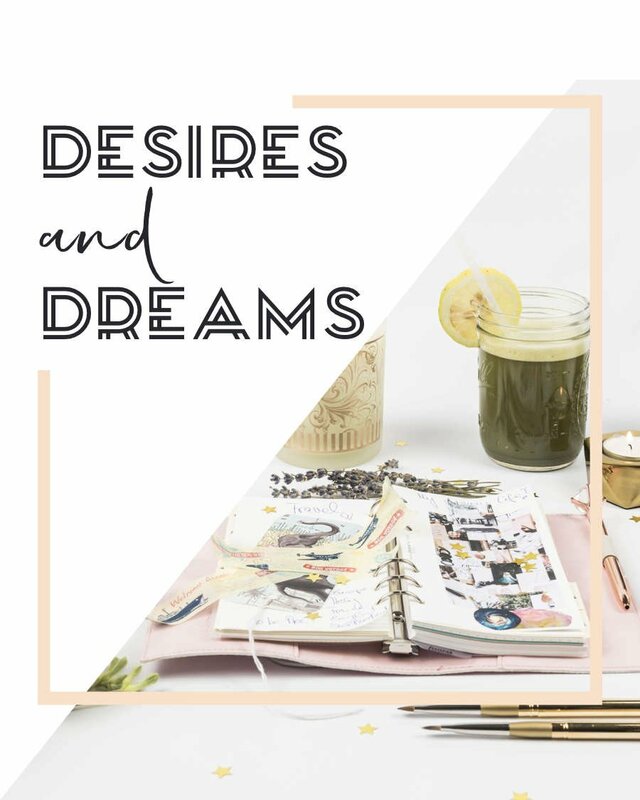 It's super easy - and I explain a structured process for how to do it, so you and your guests come away feeling refreshed, feeling loved and appreciated, and with a new idea that has sparked during the gathering (and I can absolutely guarantee this will happen). Understand what specific type of energy you have (there are 3)—and figure out how you can find more balance and enhance your natural energy flow! You'll also get a energy balancing matcha recipe and affirmations for YOUR specific energy type. For me, nothing shifts my mood or brings motivation faster than essentials oils. 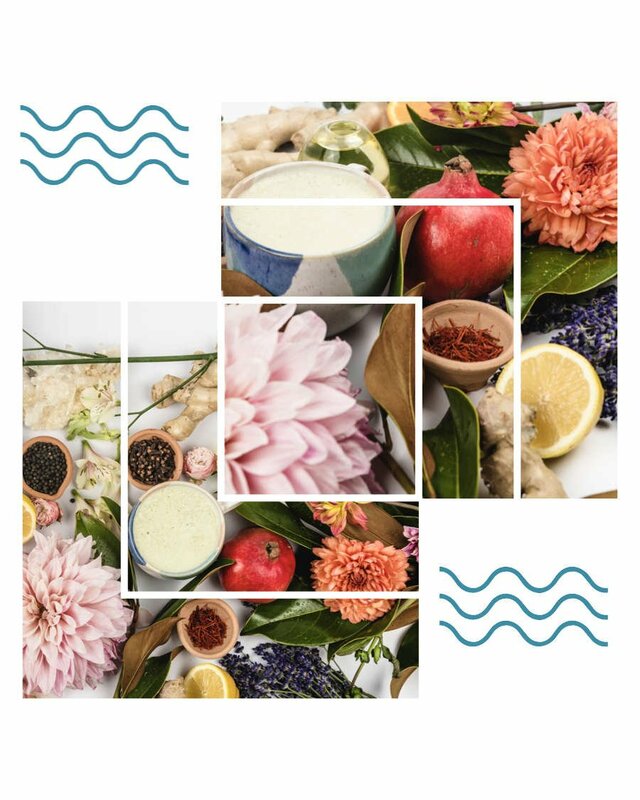 Bring this mood shifting and healing of aromatherapy into your life with my favorites for any emotion you want to induce. Learn how to harness crystal healing energy - and I share all my favorites for meditation, productivity and creativity. As part of your Self-Care Challenge, you have online access to meditations, mantras and affirmations. Part of self-care is not only taking care of your body, but also your mind and soul. Slowing down and tuning in to these parts of you is one of the best way to really make space for you in your life. Meditation and loving self-talk is a gateway to the Epic life philosophy. And I make this SUPER simple, even for beginners, without all the fluff. The Grounding & Balancing Technique: This is a go-to meditation for whenever you need a quick dose of self-care. It will help you slow down, tune in to yourself and come out feeling refreshed and reinvigorated. The Heart Opening Meditation: This will help you fill up your heart space. It will also help you feel more into forgiveness and self-love. The Intuition Opening Meditation: This meditation can inspire new ideas and creativity as you allow your intuition to open up through guided visualizations. The Personal Power Meditation: Guided imagery that helps ignites your inner fire and confidence will help you bring the most powerful you into any situation. 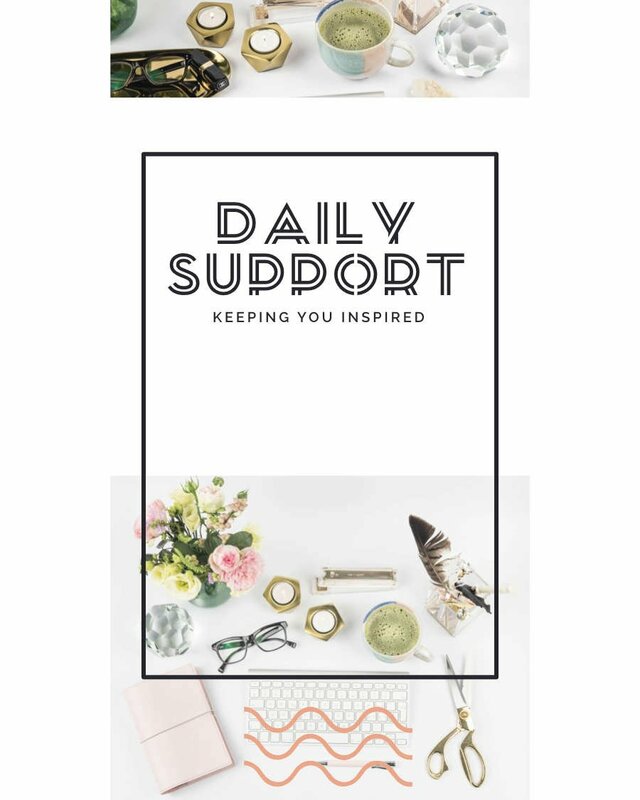 Daily supportive messages via email to support you through the 30 days of the challenge - to keep you excited about your new self-care rituals and feeling great. For a limited time, you can join for 80% OFF - only $48!!! 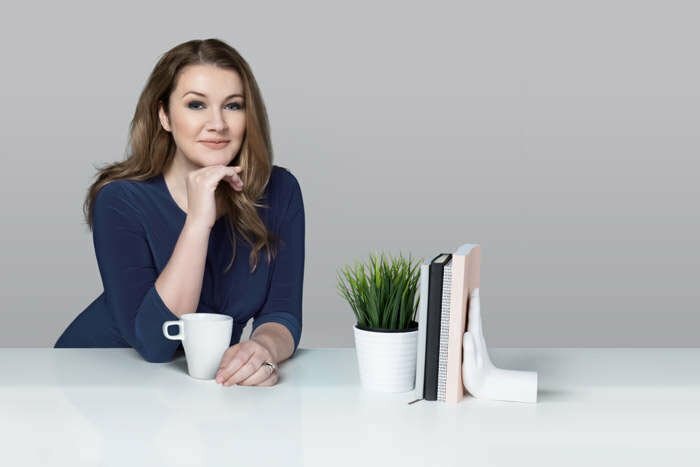 Video Trainings, walking you through how to “Fill Up Your Cup” and how to do your morning ritual consistently, even when you’re juggling family and career. Includes how to meditate for beginners, how to open your intuition, deep breathing techniques and more. Supportive messages via email to keep you excited and going. And, for a limited time, you can join the Epic Self-Care Challenge for OVER 80% OFF -- only $48!!! Click the button to join the Self-Care Challenge and I’ll see you on the other side! When you make self-care a priority in your life, you inspire others to do the same. That’s why I’m offering a special way right now so you and your friends can go through the Self-Care Challenge together. This is the perfect way to treat yourself AND also give the gift of self-care to someone you love too. This specially-curated Self-Care Challenge is the ultimate gift to yourself. Each item is added with love...and together, you’re receiving high-value items at a heavily discounted price. Click "Yes, I Want This" Below to Join the Epic Self-Care Challenge! Only $48 to join with $270 of goodies included at 80% OFF! Heart-centered contribution is whisked into Epic Matcha, made through our Chariteas initiative. 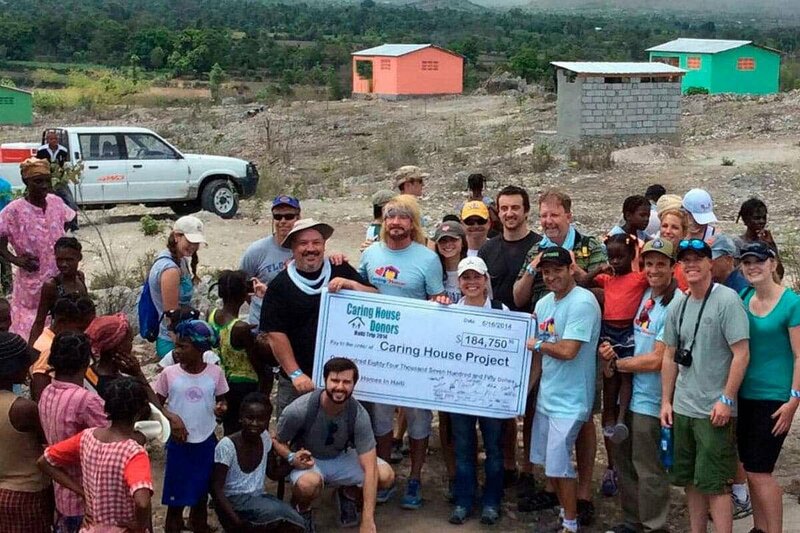 A core part of our mission is making a difference around the world, especially in developing nations. 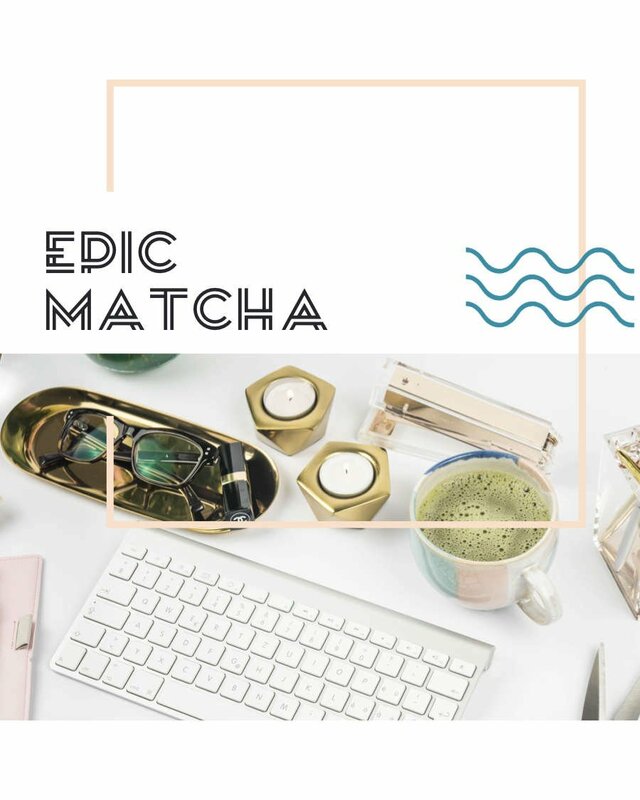 So when you invest in Epic Matcha, I invest in our Chariteas, empowering and supporting the worldwide projects that are near and dear to my heart. Sometimes it can feel like the world is too big to change. But there's a different reality - how small things can lead to big changes - that I believe in - and it's what Epic Matcha is rooted in. If I join the Challenge now, when will my stuff arrive? Your matcha and journal will arrive within 5 business days (sometimes sooner, depending on your delivery address). Your online portal access will arrive before your products, so you can get a head-start on learning! Shipping of the matcha and journal is FREE for all Epic Self-Care Challenge first-time participants! Can I start the Epic Self-Care Challenge on any day I choose? While the enrollment will only be open for a couple of days (so you can join for a limited time at this special 80% rate), once you get your stuff, you can choose to start on any day. There’s strength in numbers, so I hope you will start when everyone else starts too! Can I do the Challenge again once I finish it? For alumni of our Challenge, I will give you a special Challenge Alumni offer (at a lower rate), if you wish to do the Challenge again and again, to support you in reaching your goals. Yes, all Epic Matcha products are 100% USDA Certified Organic. Will I be able to reorder more matcha at a special rate? How is matcha different than coffee? One serving (1 teaspoon) of Epic Matcha green tea contains less caffeine than a cup of coffee, but more caffeine than a cup of green tea. The exact caffeine content varies a little bit with every crop of leaves, but it is around 29 to 37 milligrams per serving. For reference, one cup (8 ounces) of brewed coffee contains 160 milligrams. What does Epic Matcha taste like? Epic Matcha tastes fresh and green – similar to green tea, but more brothy and robust. The flavor strikes an appealing balance between mildly sweet and mildly bitter. The highest-quality matcha leans more towards the sweet side, while culinary matcha will taste more brothy. Like coffee and other teas, many people choose to add sweetener or some type of milk to their matcha. In fact, if you sweeten it up, it even tastes similar to iced black tea. You can also mix matcha into your favorite recipes to make them healthier (you’ll get some matcha recipes you might like to try). How many times a day can I drink Epic Matcha? Everyone is different, so listen to your body to determine what is best for you. It’s likely that you won’t need more than 2 to 3 servings per day. Many people like to drink one serving of Epic Matcha in the morning, and one in the early afternoon when the post-lunch slump sets in. Epic Matcha’s natural energy boost lasts from 4 to 6 hours. What makes ceremonial grade matcha special? Sipped for centuries in the traditional Japanese tea ceremony, ceremonial grade matcha is the highest quality green tea powder available. This premium grade is vibrant green in color, with a very delicate taste and extremely fine texture. Just as in traditional Japanese tea ceremonies, it’s not recommended to add other ingredients because they can mask its sweeter and more delicate flavor. Because of this and its higher grade (and therefore price), for most people it’s NOT ideal as an everyday tea or as an ingredient in lattes, smoothies or desserts (the culinary grade is better for this). Epic Matcha is hand-plucked from the finest green tea farms in China and Japan, dried, prepared, and delivered to you as soon as possible. The entire process takes less than 4 to 6 WEEKS to go from the farm fields to the cup in your hand. Once it has been ground, matcha will stay fresh for about one year under optimal conditions. When stored properly, an opened container of matcha will stay fresh for six to twelve weeks. If stored incorrectly and left open to the elements, the nutrients in the tea will degrade. Always store your matcha in an airtight container in a cool, dry, dark place. Epic Matcha is easy to store, because it comes in a metal tin (ceremonial grade) or a resealable plastic pouch (culinary grade). 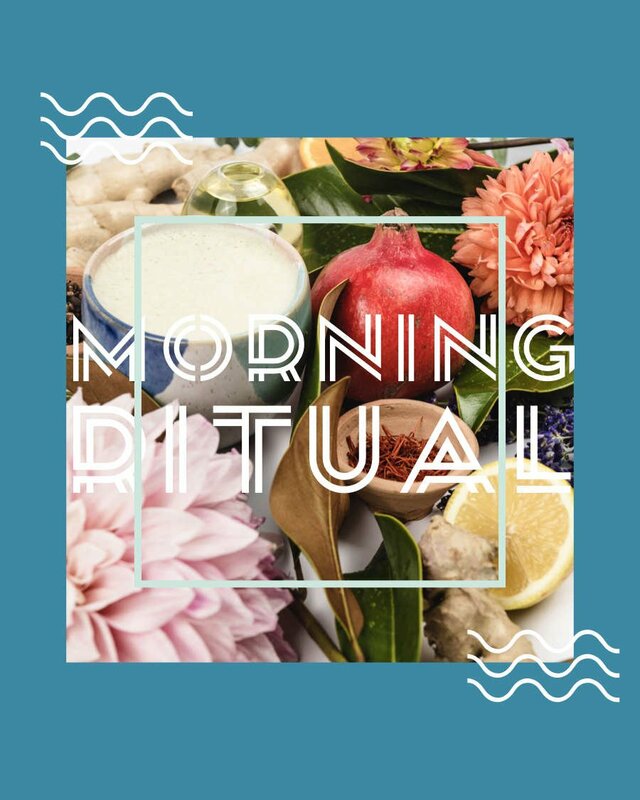 For me, creating a morning ritual has been totally transformative for my business and my life. This is my heart and soul work—and I’m so passionate about sharing what I’ve learned about matcha, ancient healing modalities and rituals with you. I know this will be as powerful for you as it has been for me. Join the Epic Self-Care Challenge today and get started on the journey to deeper self-discovery. Imagine doing ONE thing at the start of every day that lights a spark in your body, mind and soul.